Global challenges seem to become even more complex with each passing year. Addressing them requires innovative and evidence-based solutions. That’s why World Learning is constantly reflecting on what works — and what still needs to be done — to address challenges like security, economic stability, and social inequity. You could say we’ve learned a thing or two in our 86 years of experience. Our programs connect young people and adults to new cultures, careers, and education and entrepreneurship opportunities. We partner with governments, schools, and individuals to develop future leaders who have the skills they need to drive change. Our work marries the best of theory and practice in collaboration with our sister organization School for International Training, an accredited academic institution and pioneer in experiential learning. 1. How do we equip the youth of today with skills they need to be the business, civil society, education, and government leaders of tomorrow? Young people need a broad set of skills to compete in a rapidly changing world. STEM education is critical for young people pursuing careers in a tech-forward society, while English is the default language of STEM and other professions. Soft skills like leadership and communication will help young people find and keep jobs. And, before they can do any of that, they need a strong foundation in reading, writing, and math. The Quality Instruction Towards Access and Basic Education Improvement (QITABI) project aims to expand equitable access and improve learning outcomes for vulnerable students in Lebanese public schools. But, too often, poverty and inequality make it impossible for young people to attain those skills. The average student in lower-income countries performs worse than the 5th percentile in higher-income countries. Many of these children drop out of school between grades 4 and 8 to work for their families. Even if they stay in school, they fall years behind their peers in learning basic math and literacy skills. They have little hope of competing in a 21st century workforce. “We have to work on the foundational skills if we want kids to prepare for the 21st century. Literacy and numeracy help them gain the fundamental skills necessary to succeed in life,” says World Learning Director of Global Education Rajani Shrestha. 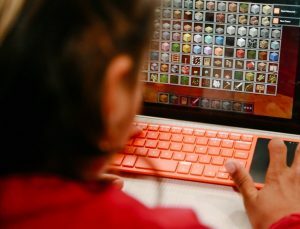 Kids Can Code builds upon Kano’s intuitive technology and computer coding lessons, which give young people the skills they need to find jobs in the modern workforce and to shape the digital world. Encouraging communities to invest in education: Communities play a critical role in a child’s education. In Pakistan and Lebanon, we’ve learned that involving the community through parent reading circles and other activities makes a difference. This year, we’ll be using the USAID toolkit to promote literacy for learners with disabilities, helping students from all backgrounds overcome barriers to learning. As part of that process, we’ll be building awareness within communities about those barriers and bringing in family members to serve as partners to their child’s education. Integrating technology into our work: Technology can make a real difference in a young person’s education. World Learning uses virtual learning platforms to reach those who might not otherwise be able to participate in our programs. We also train young people and adults in how to use technology, which helps them compete in the modern workforce. In 2019, our Kids Can Code program will be working with children in a refugee camp in Iraq to help them learn to code, all while developing their basic literacy and math skills. Developing 21st century skills right from the beginning: Success starts with the earliest days of a child’s education. You can’t learn to code if you’ve never been taught to read or do basic math. This year, we’re focusing more on teaching foundational skills in early grades. 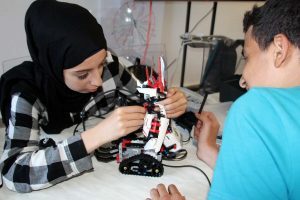 In Lebanon, for example, we plan to scale up what we’ve accomplished under the Quality Instruction Towards Access and Basic Instruction (QITABI) project, creating more opportunities for young people to learn foundational skills that will lead not only to their individual success but to the resilience of their communities. 2. How do we contribute to inclusive and resilient communities? World Learning has established partnerships with Mobility International USA (MIUSA) and the U.S. International Council on Disabilities (USICD) as well as with disabled persons’ organizations (DPOs) in several countries to create stronger linkages for global programs around disability inclusion. Strong communities are an antidote to violent extremism. 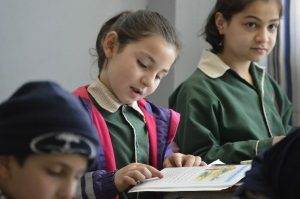 World Learning takes a holistic approach to building communities: We strengthen educational systems, equip young people with the 21st century skills that lead to better opportunities, encourage them to get involved in their communities, and connect them to peers across the world in our people-to-people exchanges. The Algiers STEAM center is an industry-led initiative to strengthen the innovation, critical thinking and communication skills of the Algerian workforce via direct training of youth, targeted training of teachers and community education forums and events. to include new people in our programs and, in 2019, we’re extending our reach in Kosovo, where we’ve worked for years to support higher education through academic exchanges to the U.S. for Kosovars as well as exchanges bringing U.S. teaching faculty to Kosovo. Now we’re launching a new program offering customized exchanges for professionals in fields from medicine to arts education — even more people will have the opportunity to share best practices and build their networks. Promote inclusive learning techniques: Inclusion is critical in the classroom, too. In Algeria, we’ve been working with teachers and mentors at our STEAM Center to design lessons that are accessible to people with disabilities using a framework known as the Universal Design for Learning. World Learning plans to expand our use of this framework throughout our activities, whether we’re showcasing World Learning Algeria’s work at the UDL International Research Network Summit in March or using the USAID toolkit to promote literacy for learners with disabilities in our basic education programs in Lebanon and Pakistan. 3. How do we develop partnerships for sustainability and self-reliance? 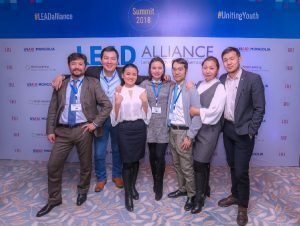 LEAD Mongolia fellows have the requisite skills, knowledge, and networks to engage constructively with and within their government, communities, or other institutions for improved democratic outcomes. Continue to nurture our network of alumni: World Learning has seen the amazing things our alumni can do when they’re equipped with the right skills. That’s why we offer grants, further training opportunities, and a link to our global network to help them create change. Alumni from the WiSci Girls STEAM Camp hosted a series of women’s empowerment workshops in Ethiopia. The Walking the Walk on Combating Gender-Based Violence in Myanmar program offered training and small grants to alumni working to end gender-based violence. And, our Leaders Advancing Democracy (LEAD) Mongolia program has launched an alumni association, registered as an NGO, that we know will flourish in the coming year. Support our partners as they take ownership of our practices: It’s not just our alumni who learn from our programming. We share best practices with our partners and community stakeholders across the world so that they can continue to drive change. This is especially evident in our literacy work in Lebanon, where we have worked with the Ministry of Education to build their capacity to assess student performance. The ministry has taken ownership of that process and, in 2019, we’re working with them to develop a comprehensive strategy that will inform the design and implementation of a national system for student learning assessment. 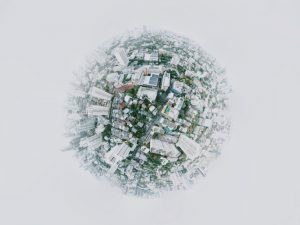 World Learning looks forward to taking on these questions and more throughout the year ahead — and sharing our efforts right here on this blog. Follow along and join us in our mission of creating a more peaceful and just world.